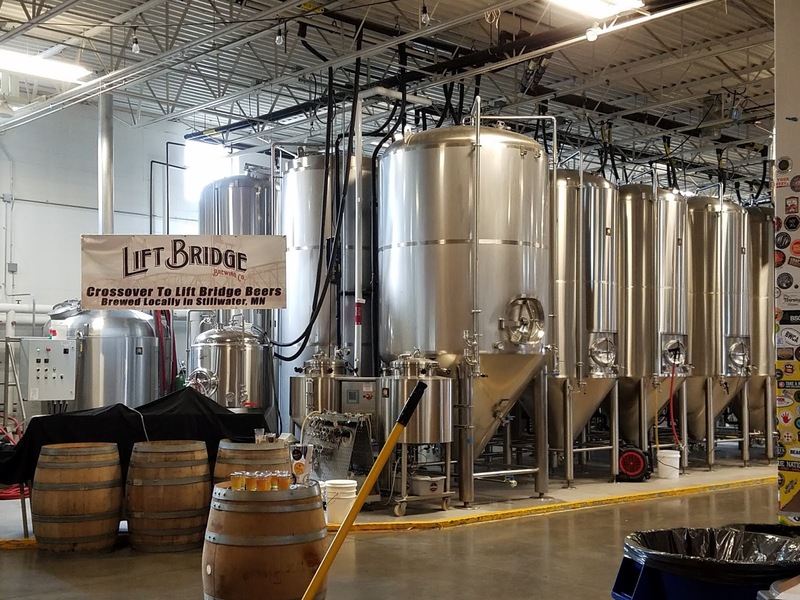 Lift Bridge Brewing Company is in Stillwater, Minnesota. Yet another stop in the craft brewery tour of Minnesota. 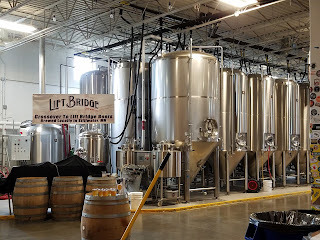 A quiet Saturday afternoon is a good time for a scenic drive to a brewery and its taproom in a scenic town, so Mike and I visited Lift Bridge Brewing Company, yesterday (1900 Tower Drive W, Stillwater, MN, http://liftbridgebrewery.com/). 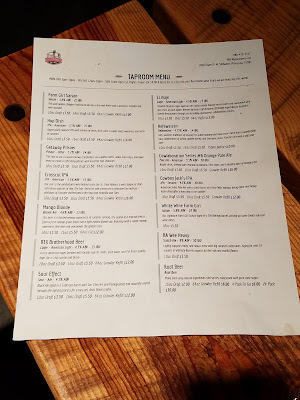 I had tried their Mango Blonde ( 4.6% ABV, 13 IBU) at a restaurant in St. 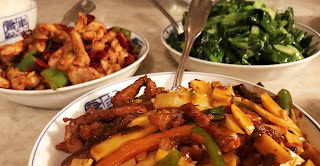 Cloud earlier this week and enjoyed its fruity, light flavor. That inspired us to travel to Stillwater, where there really is a lift bridge, though it’s closed now and replaced by a less inspiring structure. 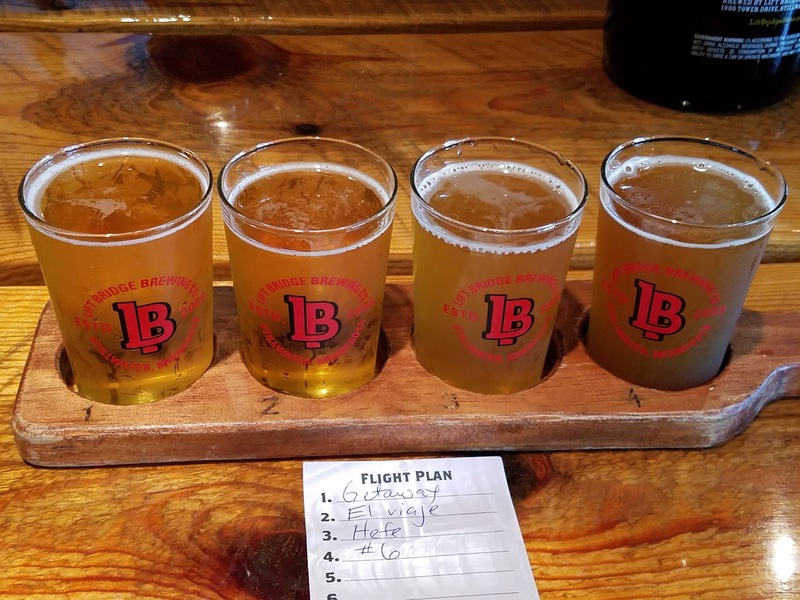 With my flight of four beers, and Mike’s glass of 93X Brotherhood Beer (4.5 ABV, 15IBU), an American light lager, we sat down at one of the large indoor picnic style tables. Mike liked the bright, light flavor, of his beer. I always choose for a flight a blend of beers as I fine tune my likes and dislikes. Then I first taste the beer I think I will like the least. 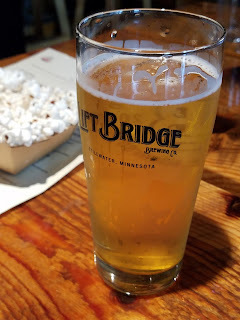 At Lift Bridge that was Cowlaboration Series #6 Orange Pale Ale (5.5% ABV, 50 IBU). 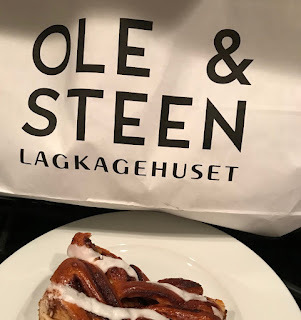 It has a nice bite and a clean flavor, and that’s from someone who doesn’t like IPAs. My daughter would probably not have liked it, though, since it was mild by her standards. Both the Hefeweizen (4.7% ABV, 14 IBU)and El Viaje (4.5% ABV, 15 IBU), another light American lager with inspiration from Mexico and a hint of the agave plant, made good first impressions, but neither one had much flavor on the second or third sips. I would have been rather bored with a full 16 ounce pull of either. 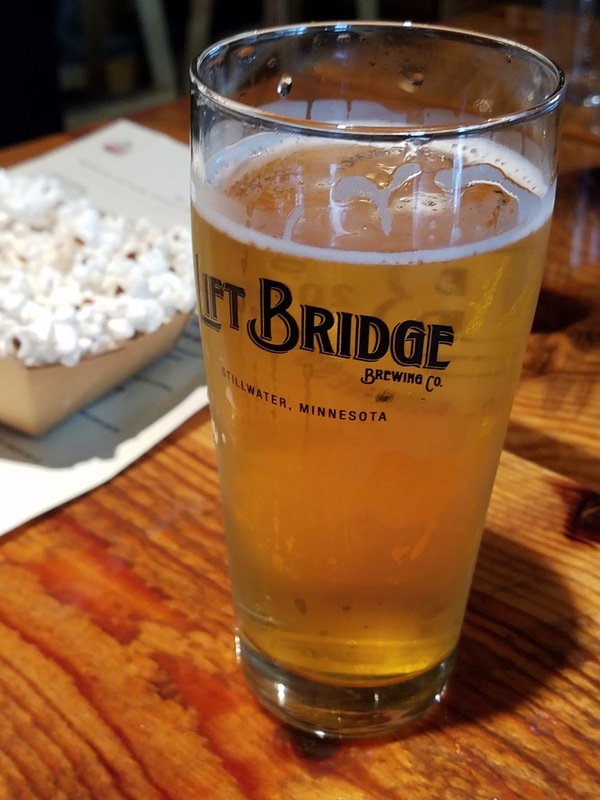 Getaway (5.2% ABV, 24 IBU) is Lift Bridge’s pilsner. It had a rich flavor and had enough wheat in it for me to like and enough hops that it gave the beer a punch that lasted to the final sip. Overall, of the four beers in the flight, I liked the #6 the best. It tasted like good beer to the last drop. People around us were singing the praises of the White Wine Farm Girl 5.8% ABV, 19 IBU), a saison, but I’m not a fan of saison, so wouldn’t have even tried it. One woman said it tasted more like a good chardonnay, but it should since it’s aged in Chardonnay barrels. IPA fans were sitting near us, too, and enjoyed the Hop Dish (7.5% ABV, 75 IBU), an American IPA. The four-beer flight cost $8. Lift Bridge also serves a six-beer flight for $11, and it was very popular that afternoon. 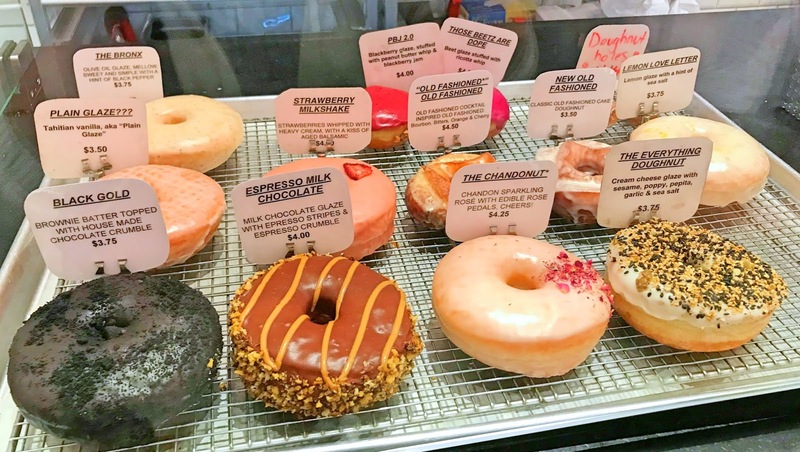 A 10-ounce draft is $3.50, and 16-ounce drafts are $5.50. Lift Bridge Brewery’s taproom isn’t big. Inside has seating for about 50 people. They have a nice patio out front that was very popular that weekend afternoon. It made a very nice destination, with windows looking out on pine trees, and an “up north” decor.